This MCAT General Chemistry Review Summary Page is by no means an exhaustive review of MCAT General Chemistry. Our summary is only meant to highlight key points that are most helpful for the MCAT. For a list of topics for the MCAT: MCAT General Chemistry Topics List. You can also access practice questions in our Free MCAT Practice Test, or our many full-length MCAT Practice Tests. For MCAT General Chemistry, it helps to understand vocabulary, definitions and equations. 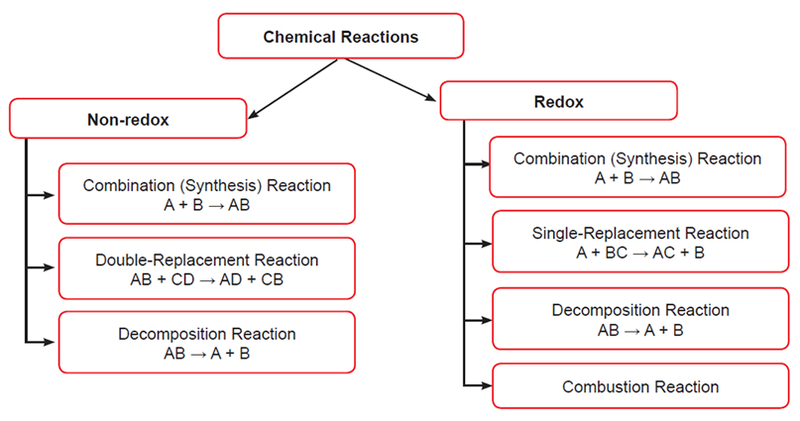 In some respects, this General Chemistry cheat sheet will minimize your need to memorize information and maximize your General Chemistry review. Note: Unless mentioned otherwise, the following images are excerpts from the Gold Standard MCAT General Chemistry ebook. 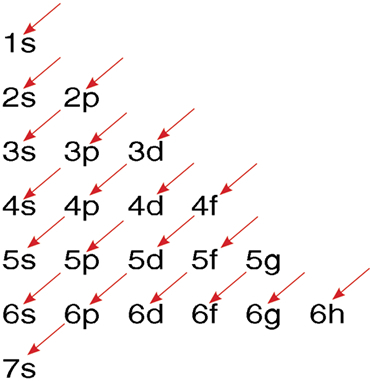 The order for filling atomic orbitals: Follow the direction of successive arrows moving from top to bottom. *These are general characteristics. There are exceptions beyond the scope of the exam. where q is the charge and d is the distance between these two atoms. The Lewis acid BF3 and the Lewis base NH3. Notice that the green arrows follow the flow of electron pairs. Note: dotted lines only represent the overall molecular shape and not molecular bonds. 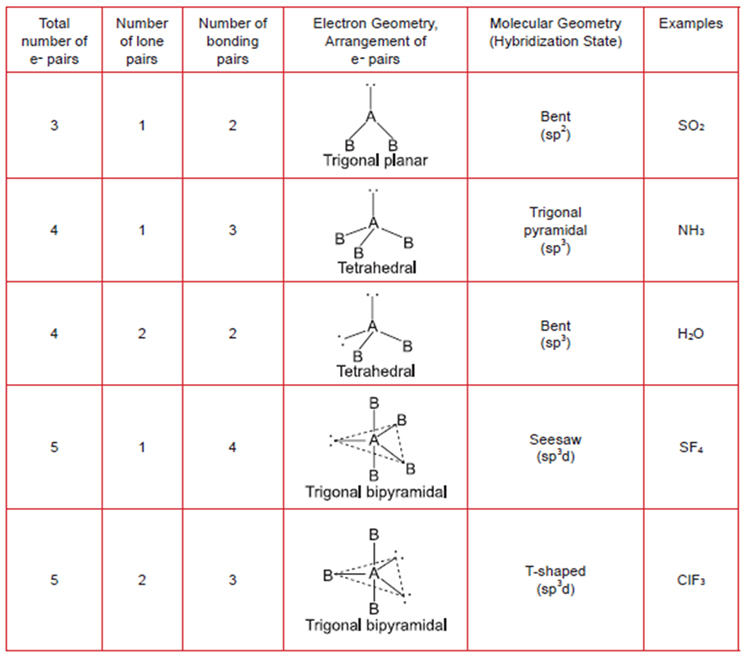 In brackets under "Molecular Geometry" is the hybridization as discussed in ORG 1.2. 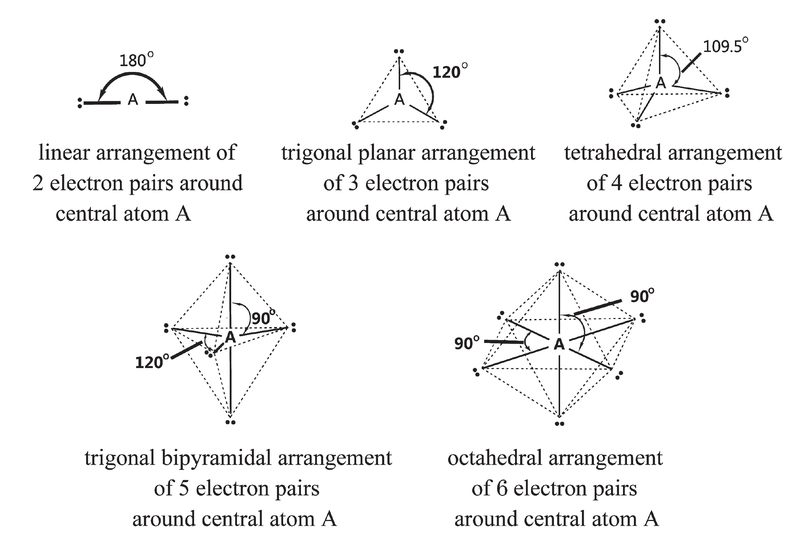 Molecular arrangement of electron pairs around a central atom A. Dotted lines only represent the overall molecular shape and not molecular bonds. 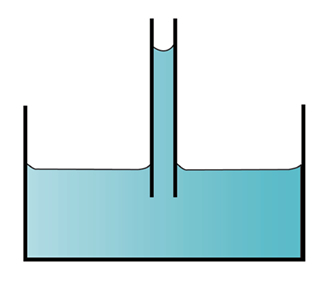 The volume occupied by one mole of any gas at STP is referred to as the standard molar volume and is equal to 22.4 L.
The average kinetic energy of the particles (KE = 1/2 mv2) increases in direct proportion to the temperature of the gas (KE = 3/2 kT) when the temperature is measured on an absolute scale (i.e. the Kelvin scale) and k is a constant (the Boltzmann constant). 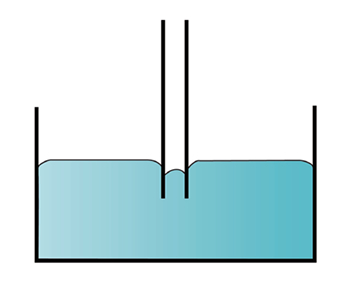 Van Der Waal's forces (weak) and hydrogen bonding (strong). London forces between Cl2 molecules, dipole-dipole forces between HCl molecules and H-bonding between H2O molecules. Note that a partial negative charge on an atom is indicated by ẟ- (delta negative), while a partial positive charge is indicated by ẟ+ (delta positive). Notice that one H2O molecule can potentially form 4 H-bonds with surrounding molecules which is highly efficient. The preceding is one key reason that the boiling point of water is higher than that of ammonia, hydrogen fluoride, or methanol. Because the Ksp product always holds, precipitation will not take place unless the product of [Ag+] and [Cl-] exceeds the Ksp. All salts of alkali metals are soluble. All salts of the ammonium ion are soluble. All chlorides, bromides and iodides are water soluble, with the exception of Ag+, Pb2+, and Hg22+. 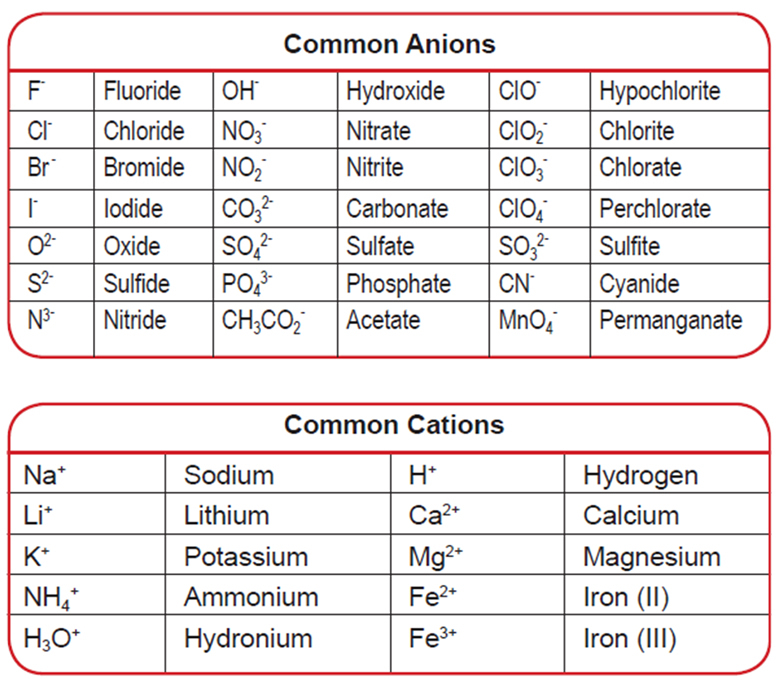 All salts of the sulfate ion (SO42-) are water soluble with the exception of Ca2+, Sr2+, Ba2+, and Pb2+. All metal oxides are insoluble with the exception of the alkali metals and CaO, SrO and BaO. 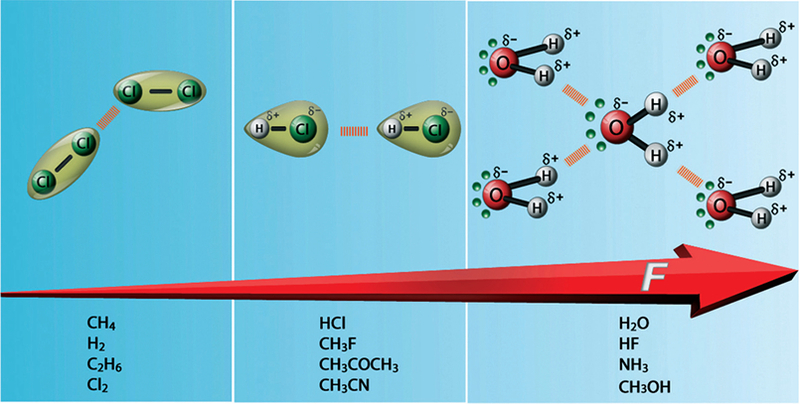 All hydroxides are insoluble with the exception of the alkali metals and Ca2+, Sr2+, Ba2+. All carbonates (CO32-), phosphates (PO43-), sulfides(S2-) and sulfites (SO32-) are insoluble, with the exception of the alkali metals and ammonium. The most common weak bases are ammonia and any organic amine. The acid, HA, and the base produced when it ionizes, A-, are called a conjugate acid-base pair. A reaction during which heat is released is said to be exothermic (ΔH is negative). 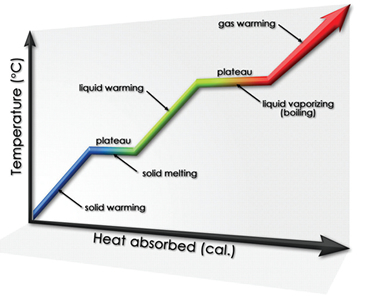 If a reaction requires the supply of a certain amount of heat it is endothermic (ΔH is positive). 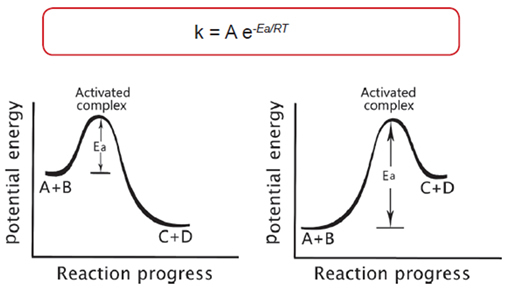 For any spontaneous process, the entropy of the universe increases which results in a greater dispersal or randomization of the energy (ΔS > 0). 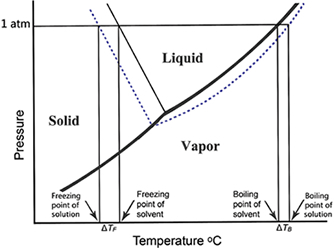 Le Chatelier’s principle states that whenever a perturbation is applied to a system at equilibrium, the system evolves in such a way as to compensate for the applied perturbation. The more positive the E° value, the more likely the reaction will occur spontaneously as written. 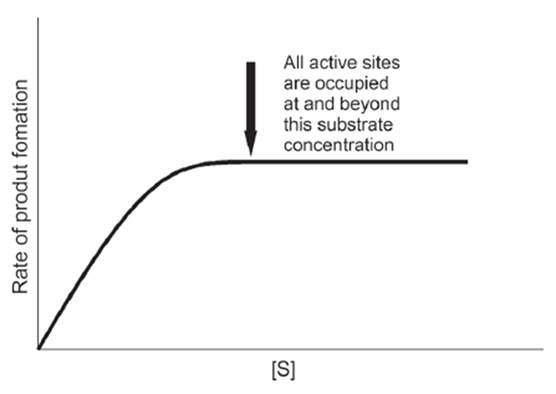 The strongest reducing agents have large negative E° values. The strongest oxidizing agents have large positive E° values. The oxidizing agent is reduced; the reducing agent is oxidized. 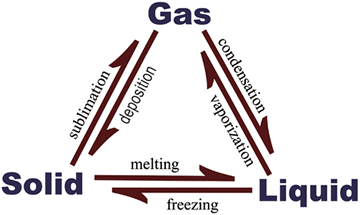 Faraday’s law relates the amount of elements deposited or gas liberated at an electrode due to current. One mole (= Avogadro’s number) of electrons is called a faraday ( ). A faraday is equivalent to 96 500 coulombs. A coulomb is the amount of electricity that is transferred when a current of one ampere flows for one second (1C = 1A . S). The uncertain figure of a measurement is the last significant figure of the measurement. *Zeros in any number are used to convey either accuracy or magnitude. If a zero is to convey accuracy, then it is known as a significant value and if the zero is used to convey magnitude, then it is non-significant. Do you have any comments you would like to share regarding our Gold Standard MCAT General Chemistry Review Summary?